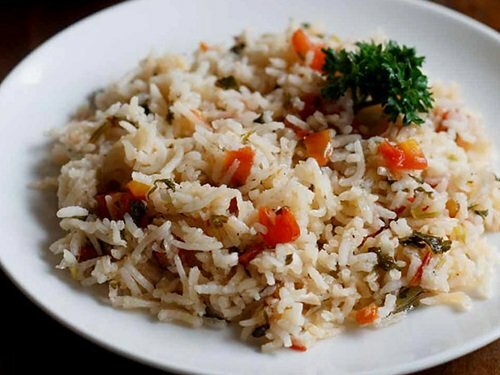 simple and easy to make delicious portuguese tomato rice recipe. also known as arroz de tomate recipe. portuguese tomato rice recipe with step by step photos. this delicious recipe of portuguese tomato rice is dedicated to a few of my portuguese friends. simple and easy to make and still delicious. 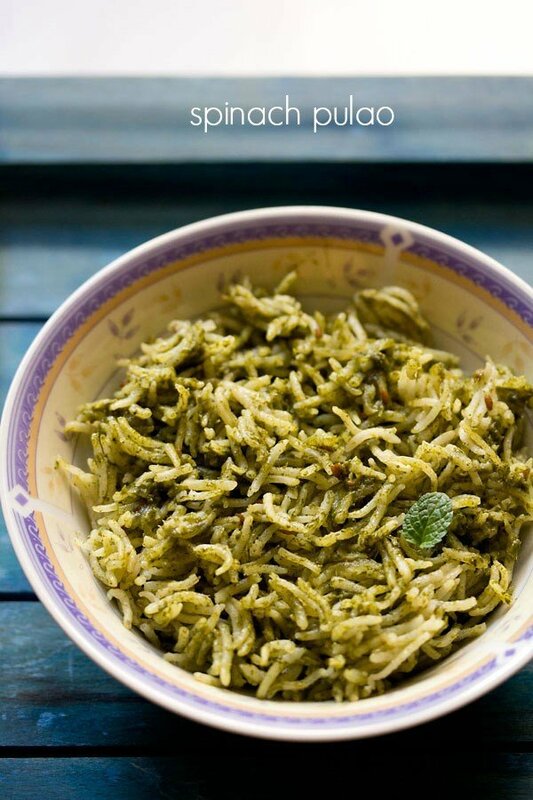 the rice goes well with mung bean sprouts salad or vegetable salad. portuguese tomato rice is also called as arroz de tomate. 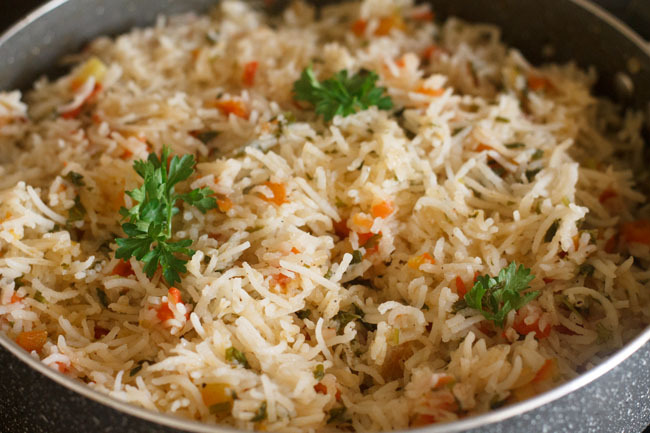 south indian tomato rice recipe. 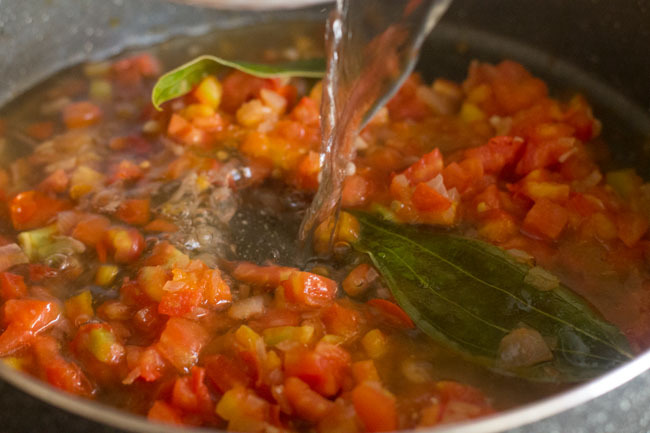 while making portuguese tomato rice recipe, make sure to use olive oil only and not any other oil. 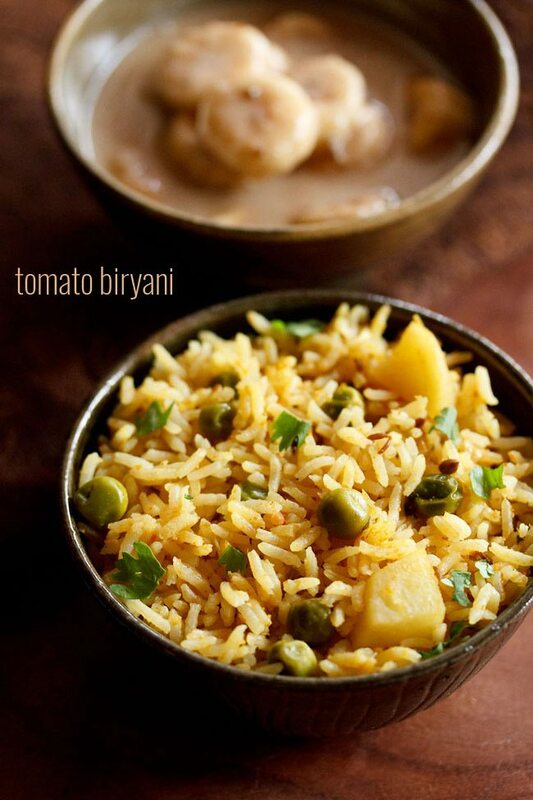 what olive oil contributes, no other oil can contribute to this tomato rice. 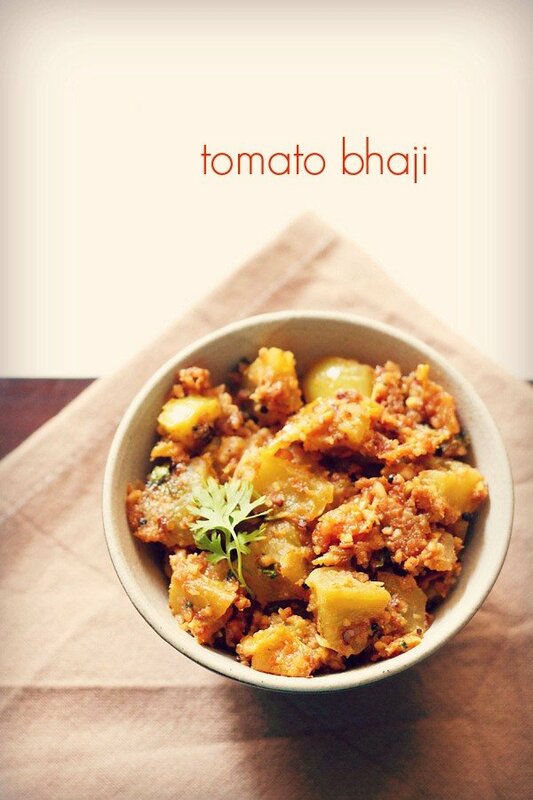 i have made this tomato recipe both with sunflower oil and olive oil. but the flavor and taste is remarkably different with olive oil. sunflower oil makes it too bland both taste wise and flavor wise. so make sure to use a good quality olive oil. if you do not have olive oil and plan to use sunflower oil, then add some red chili flakes or red chili powder to spice up the tomato rice. otherwise you can team this tomato rice along spicy sabzi or gravy dish like mushroom roast, mushroom chilli fry and paneer chilli fry. 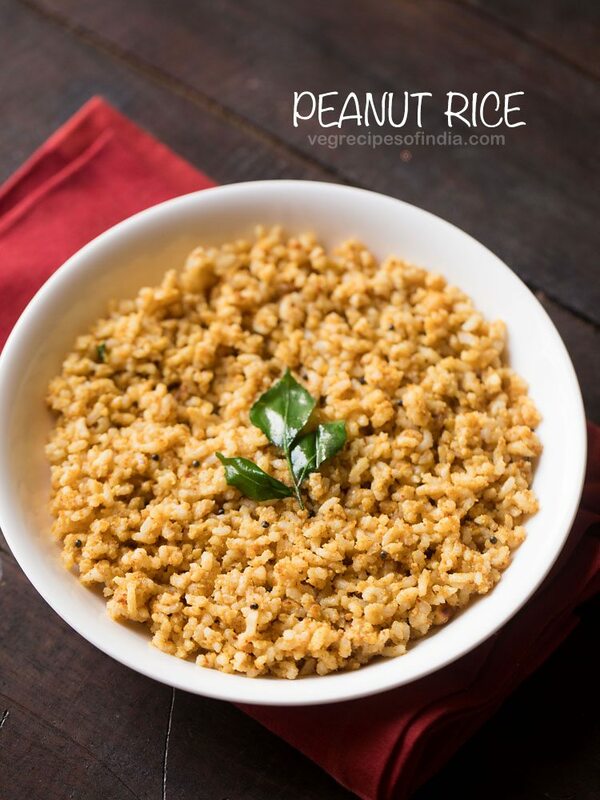 if you are looking for more rice recipes then do check ghee rice, lemon rice, curd rice, coconut rice and veg pongal recipe. 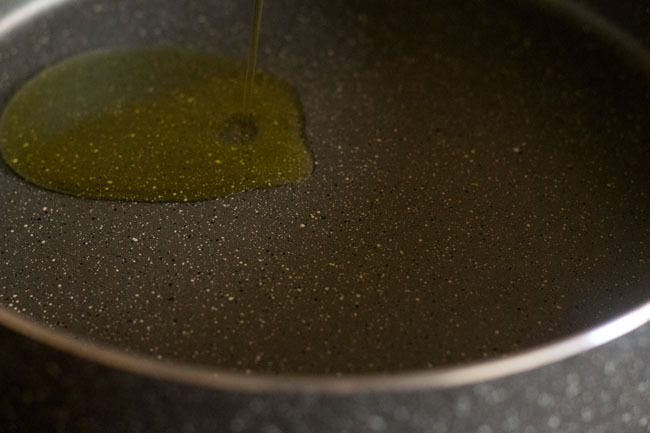 heat the olive oil in a deep pan. 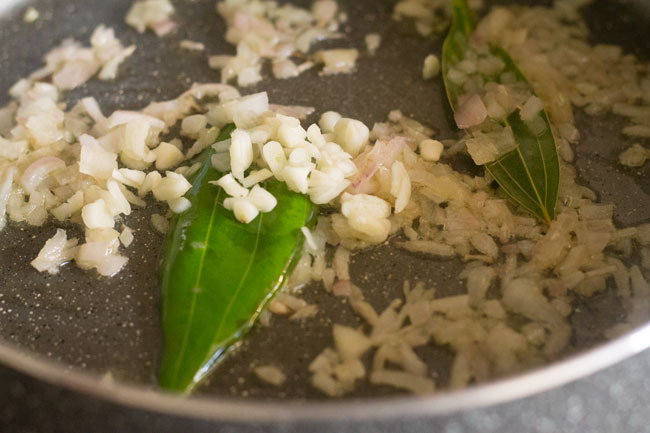 add the chopped onions and bay leaves and saute them till the onions become translucent. 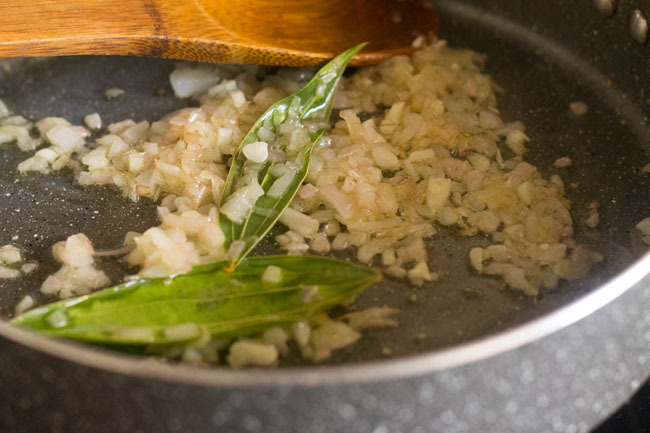 add the chopped or crushed garlic cloves and fry till the raw aroma disappears. 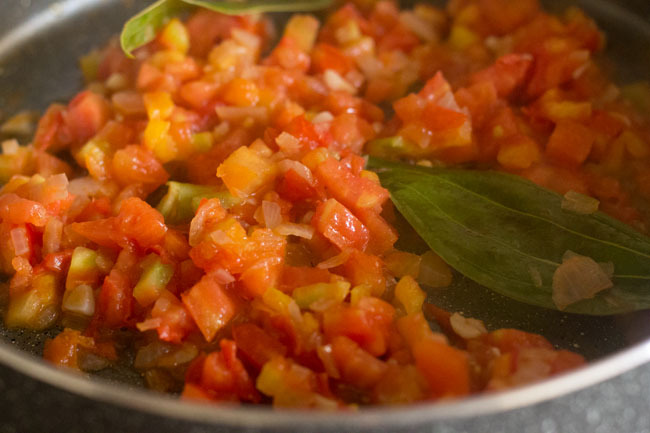 cook the tomatoes for 2 to 3 minutes or till they become soft. 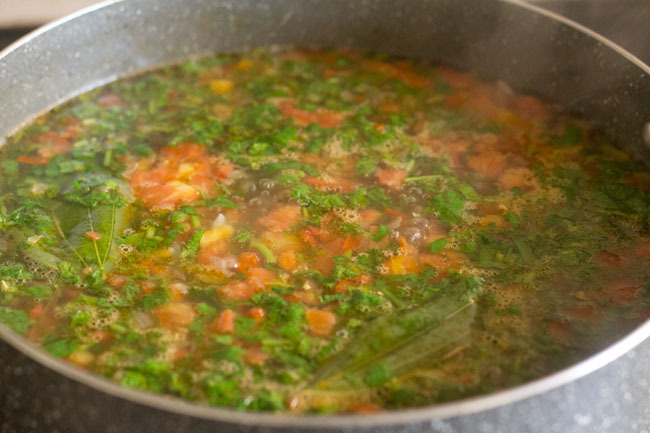 add the water or vegetable stock and chopped coriander leaves and parsley and let it come to a boil. add the rice, salt as required and black pepper powder. cover the pan and let the tomato rice cook till fluffy and done. 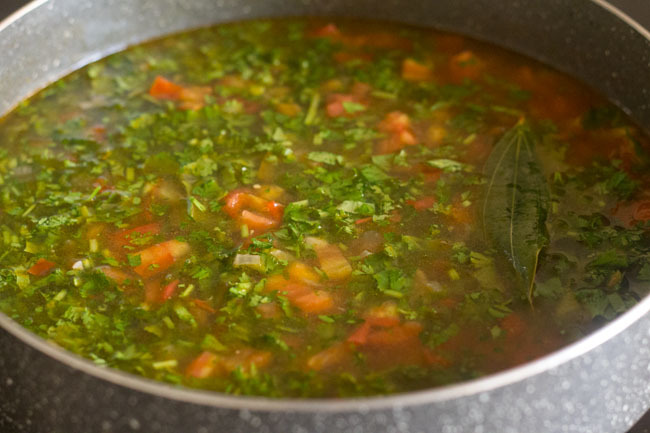 garnish with a few chopped coriander and parsley leaves while serving the portuguese tomato rice. 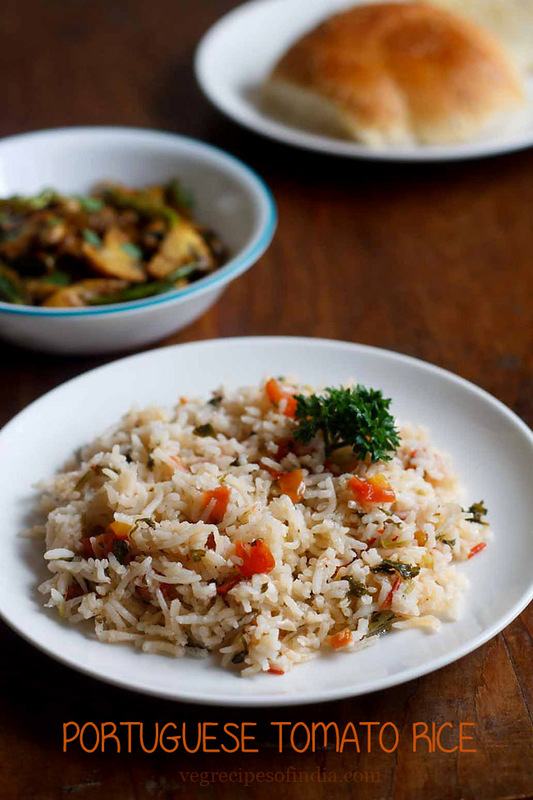 serve the tomato rice accompanied with a veggie salad or mung sprouts salad. if you don't have olive oil then use sunflower oil. 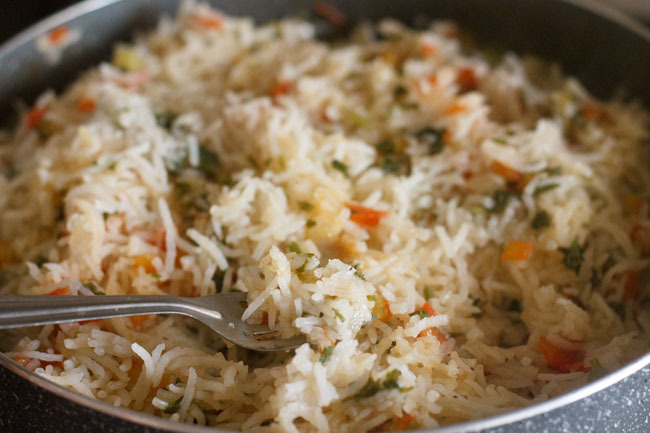 but the best taste and flavor in this tomato rice recipe comes with olive oil. with sunflower oil, the taste is little bland and you will have to add some red chili flakes or red chilli power or any other spices of your choice to spice up the rice. 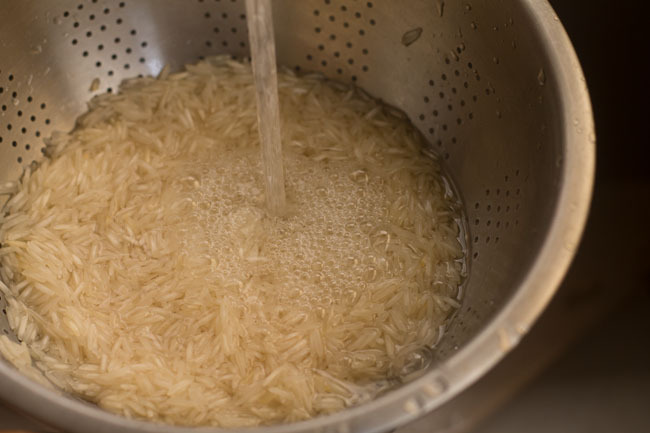 1. rinse 1 cup rice couple of times in water and then drain the water. 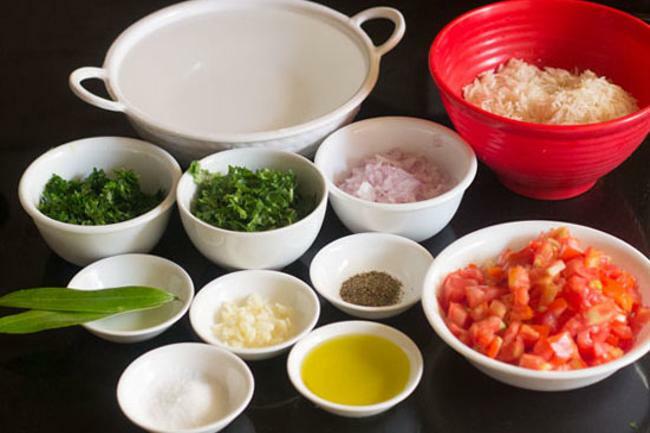 2. measure all the ingredients and keep ready for the portuguese tomato rice. 3. heat 1 or 2 tablespoon olive oil in a deep pan. 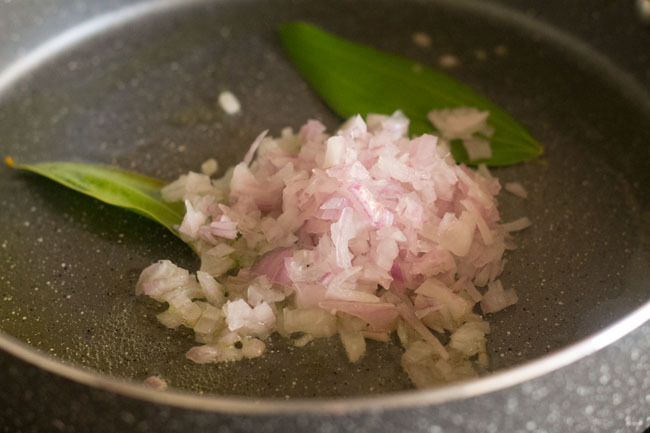 4. add 1 medium sized chopped onion. also add 1 to 2 bay leaf or tej patta. 5. fry till the onions become translucent. 6. then add 2 to 3 chopped or crushed garlic cloves (lahsun). 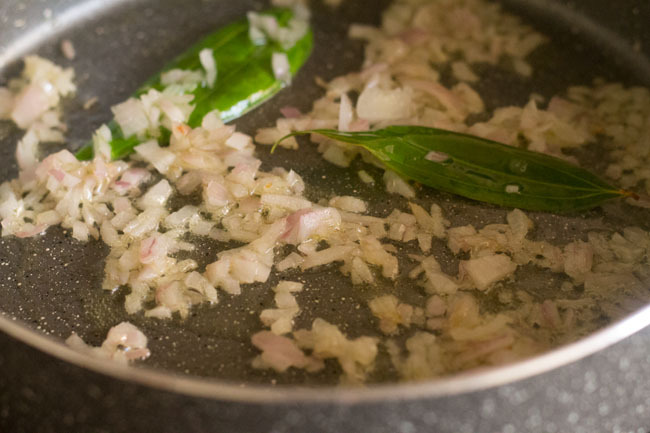 7. fry till the raw aroma of garlic goes away. 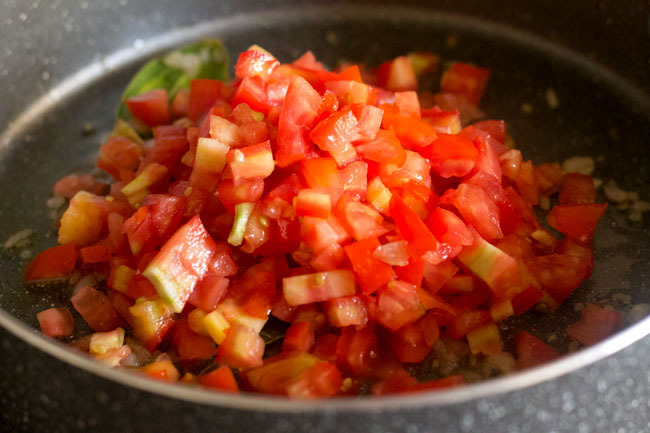 8. then add 2 to 3 medium sized chopped tomatoes. 9. cook the tomatoes till they become soft. 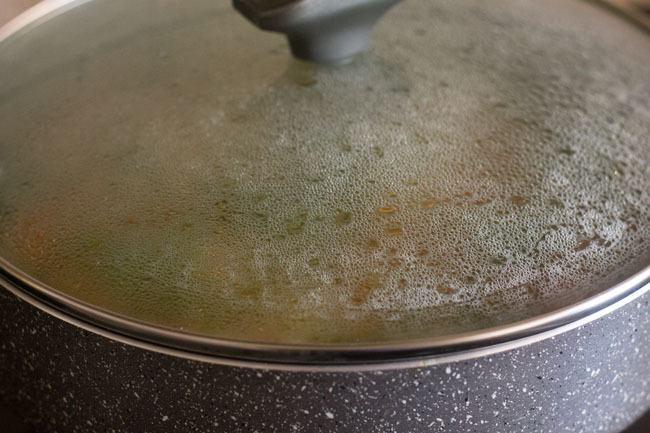 10. pour 2.5 to 3 cups water or vegetable stock or as required depending upon the quality of rice. 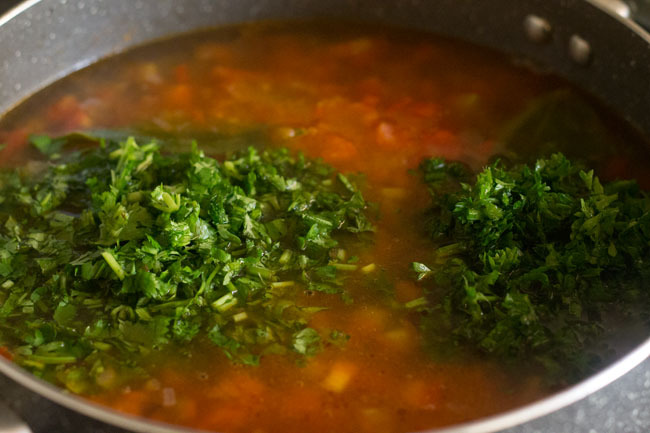 11. next add ½ cup chopped coriander leaves or parsley OR equal amounts of coriander leaves and parsley. 13. let the water come to a boil. 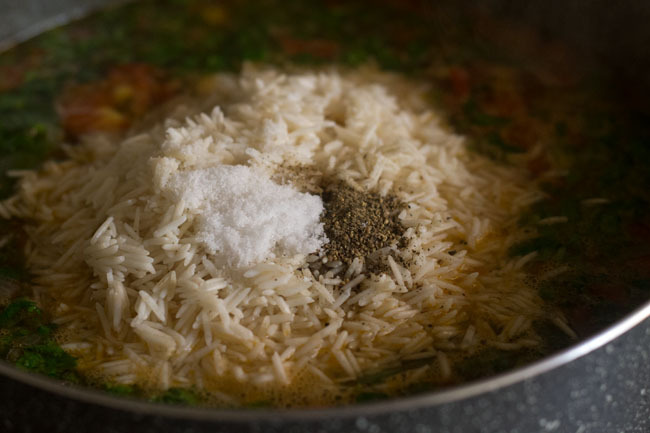 14. then add the rice, salt as required and ½ teaspoon black pepper powder (kali mirch powder). 16. cover the pan and let the tomato rice cook. 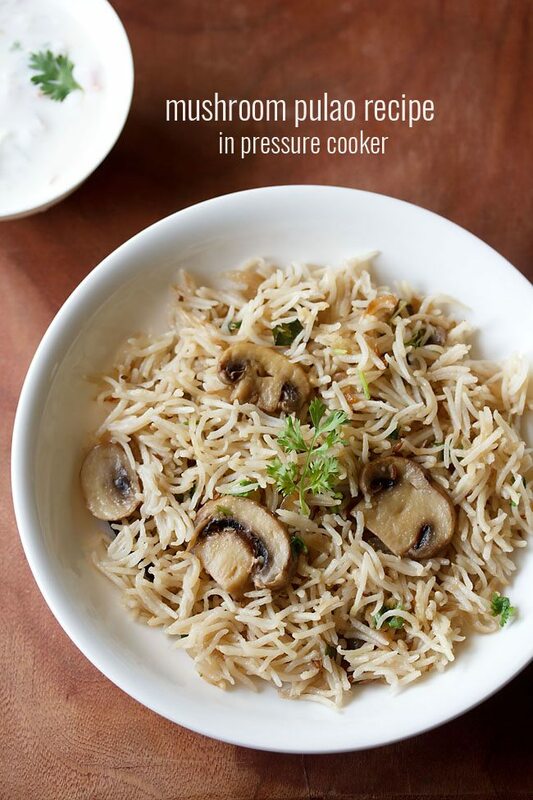 keep checking after 15 minutes intervals, if the rice appears dry then add little water if required. 17. cook the tomato rice till fluffy and done. 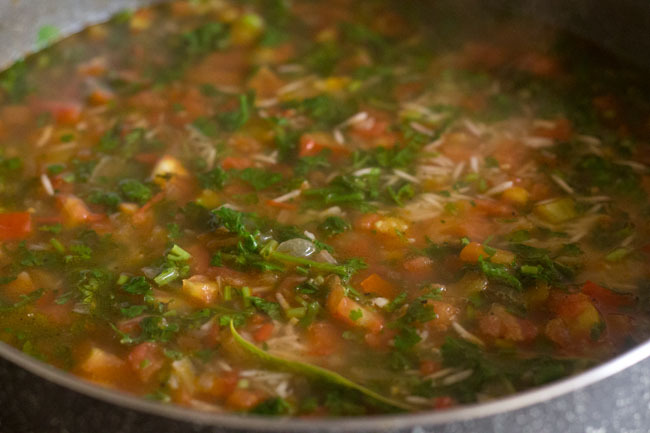 18. garnish with a few chopped coriander and parsley leaves while serving the portuguese tomato rice. 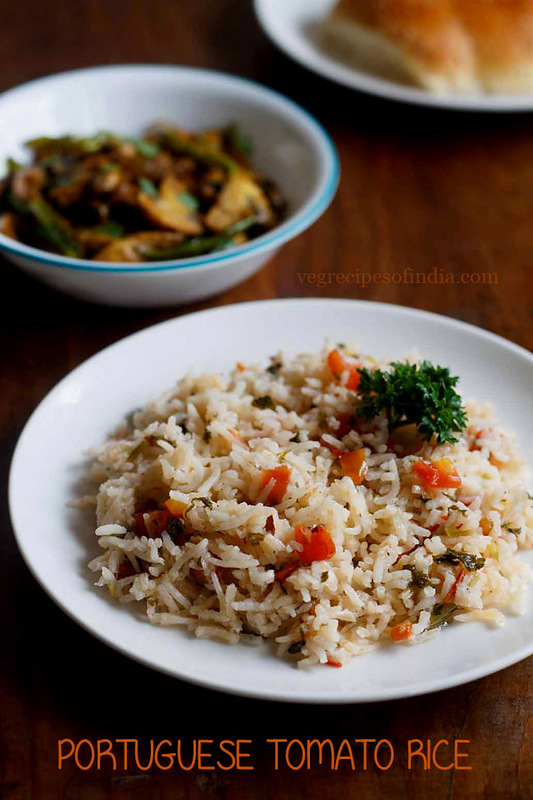 19. serve the portuguese tomato rice accompanied with a spicy dish like mushroom pepper fry or chilli paneer or paneer ghee roast or with veggie salad or mung sprouts salad. 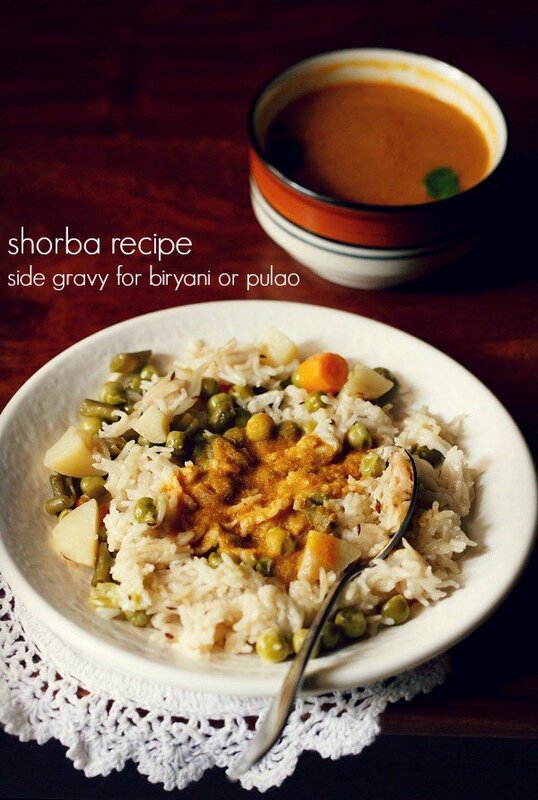 New & nice recipe .